Well, I told you earlier this week that when I made the Easy Homemade French Fries it was my first jump into the world of deep frying, and these doughnuts would be my second dip. I have lost all fear of frying and am now on a furious search for the next thing to throw into a vat of bubbling oil (that doesn’t sound as delicious we all know the results truly are). I’m thinking maybe some classic southern fried chicken? I’ll continue to think on it, but in the meantime let’s chat about these amazing doughnuts. Doughnuts are something I’ve had on my mind for pretty much as long as I can remember, and they were definitely on my original Top 100 list. Once I decided to jump into the frying frenzy, I knew they would be one of the first things that I tried. I’m so, so happy that I did! They are are actually quite easy to make and come together quickly, so they would be great if you have house guests, or just want to spice up an ordinary weekend morning! In addition to the doughnuts, you get to partake in the resulting doughnut holes. Nom nom nom. 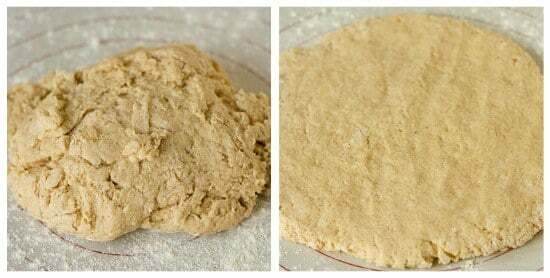 The dough is really easy to mix together, you don’t even need to use a mixer. Just two bowls, a whisk and a spoon and you’re good to go! Once you mix it up, you dump it out onto a floured surface, and pat it out to about a ½-inch thickness. Then you get to cut! 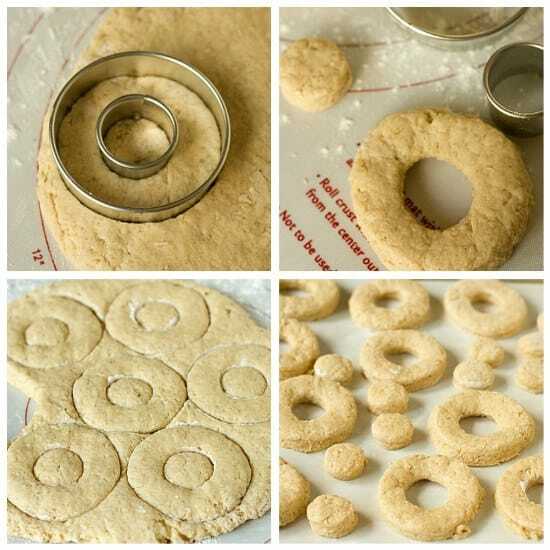 This is the fun part :) You’ll use two different sizes of round cookie cutters to cut out the doughnuts and then cut out the middle. You can keep re-patting the dough together and cutting out more until you run out of dough. You chill the dough while the oil warms up, and then get to frying! They only take a couple of minutes per side, so you’ll be done in no time. I found it was best to use tongs to turn them so as to reduce any oil splattering that might occur. Once they come out, do your dipping and rolling in the toppings of your choice. I gave all three a try – the cinnamon-sugar, vanilla glaze and chocolate glaze. I scaled down the vanilla and chocolate and both got a little thin on me so I’d recommend making the full batch or compensating with extra powdered sugar and chocolate, respectively, to make sure it stays thick. Cinnamon-sugar is my absolute favorite when it comes to doughnuts, and I thoroughly enjoyed these. 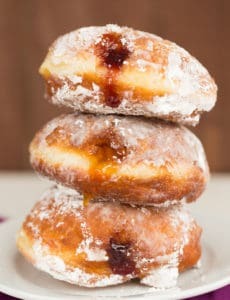 They have fantastic flavor, texture, and are truly reminiscent of the old-fashioned “farm stand” doughnuts that the cookbook was trying to recreate. Delicious! 1. Make the Doughnuts: Line one baking sheet with parchment paper and another baking sheet with two layers of paper towels. 2. In a large bowl, whisk together the flour, sugar, baking soda, baking powder, salt, nutmeg, and cinnamon. 3. In a medium bowl, whisk the eggs, buttermilk, and sour cream until combined. Add the melted, cooled butter and whisk again. 4. Make a well in the center of the flour mixture and pour the liquid ingredients into the well. With a rubber spatula, slowly fold the flour into the liquid center until the mixture forms a sticky dough. 5. Turn the dough out onto a work surface lightly dusted with flour. Sprinkle the top of the dough with flour and pat it out until it is about ½-inch thick. Use two round cutters (3¼-inch and 1½-inch). Dip the large cutter in flour and press out the rounds. Dip the smaller cutter in the flour and cut out the center of each dough round. 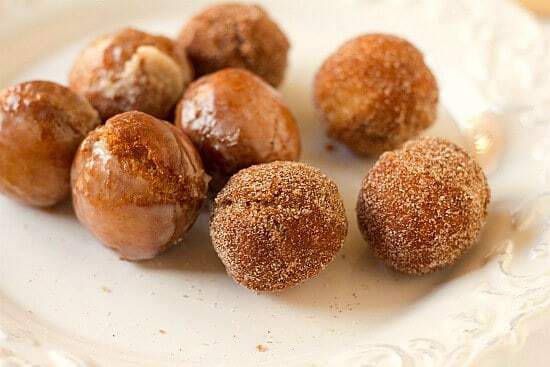 Arrange bough doughnuts and doughnut holes on the parchment-lined baking sheet, pat the dough scraps back together, and use them to make as many more doughnuts and doughnuts holes as possible. Chill the dough while you heat the oil. 6. Pour enough oil into a deep skillet to make a layer approximately 1 inch to 1½ inches deep. Slowly heat the oil over medium-high heat until it is 365 to 370 degrees F.
7. While you are waiting for the oil to reach temperature, make the toppings. 8. Make the Chocolate Dip: Place the chopped chocolate in a medium wide-mouthed bowl. In a small saucepan, heat the cream until it is just about to boil. Pour the cream over the chocolate and wait 1 minute. Whisk until smooth. Whisk in the butter. Keep the mixture warm. 9. Make the Vanilla Glaze: In a medium wide-mouthed bowl, whisk together the sugar, the milk, and the vanilla extract. 10. Make the Cinnamon Sugar: In a medium wide-mouthed bowl, whisk together the sugar and cinnamon. 11. Fry the Doughnuts: Once the oil reaches temperature, gently lift the large doughnuts off the baking sheet and place them in the hot oil. Do not crowd the skillet - make no more than 3 doughnuts at a time. 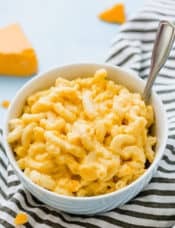 Once they have browned on one side (this takes 2 to 3 minutes), turn them over with tongs or a slotted spoon and continue to cook for another minute or just until browned (they can overcook or burn rather quickly). Using a slotted spoon, transfer the doughnuts to the paper towel-lined baking sheet and continue to fry the rest of the dough until finished. The doughnut holes will cook faster (only about 1 minute on each side) and can be made in two or three batches after the doughnuts are done. 12. 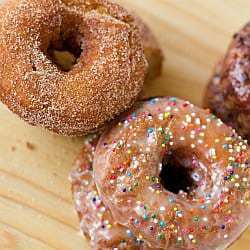 Assemble the Doughnuts: Once you have finished frying, work quickly to dip the doughnuts in the chocolate or vanilla glaze, or the cinnamon sugar. If you like, decorate the chocolate or vanilla doughnuts with sprinkles. Serve immediately. 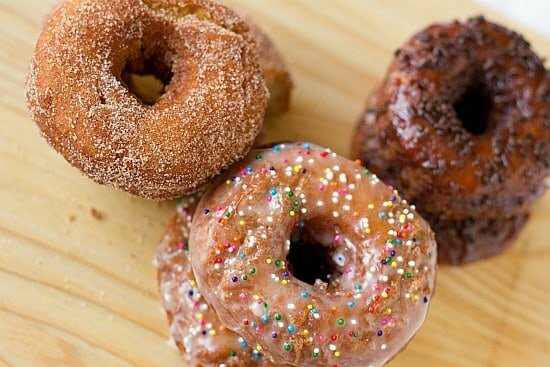 Note: Each topping makes enough for one batch of doughnuts. If you want to use more than one topping for your batch, reduce the amounts by half or by two-thirds, accordingly. 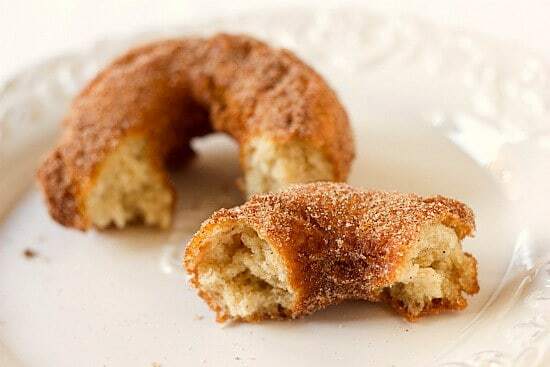 This is suppose to be the baked doughnuts with cinnamon and sugar recipe but it is the fry doughnut recipe. 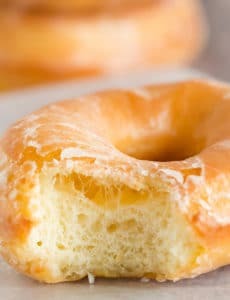 Will you please repost baked doughnut recipe. I will print it and save hard copy. It’s my favorite and Halloween tradition. 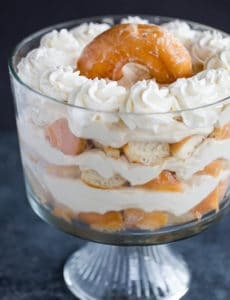 I had to use a different recipe this year and it wasn’t as good. Hi Melanie, Is this it? I’m looking for the baked doughnut recipe. The buttermilk doughnuts keep popping up when I click on the baked doughnuts, archived March 2011. It’s my Halloween tradition to bake the baked doughnuts using your amazing recipe. Help!!! Hi Melanie, Is this the link you are looking for? 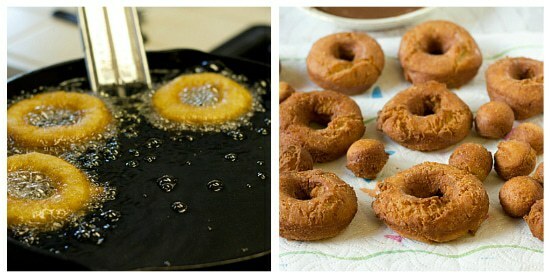 How would you suggest adding pumpkin purée to this recipe to make pumpkin buttermilk donuts? Would you need to reduce the buttermilk so the batter isn’t too wet? Hi Kathryn, You would definitely need to reduce the liquid, but never having tried this, I couldn’t give you exact quantities. If you do it, let me know how they turn out! Tried this recipe a couple of times…and every time it turns out amazing. Well thought they were just good!!!!!! I made these over the weekend and the doughnuts turned out great. I made all three glazes and the vanilla one was by far my favorite. The chocolate one would have been good but it wasn’t sweet enough. I think some sugar in the glaze recipe would have made it better. Thanks for another great recipe! Can you fry these with peanut oil instead? I have leftover that I want to use up! Hi Erin, I think that’s probably fine.